Can anyone give me the low down on chillers & what type of emitters one needs to consider a chiller? Glycol? Not for use with rads? Would it not be like having a block of ice in the room? 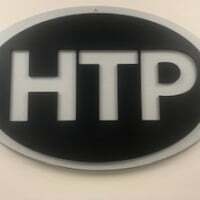 Technical Support Manager, HTP Comfort Solutions. Chillers are primarily used in commercial applications for fan coil units. Residential chilled water systems are becoming more popular because you can place them in a remote location. Unico has the unichiller, we have used them with success. The only thing with chilled water is measure your flow closely. are analogous to boilers is what I usually tell people, but you know that. As Mike said, chillers can be located more remotely from the house (good for noise considerations). But they also allow more flexible location of the indoor fan coil units. Chilled water can be run up and down and over distances unlike most refrigerant systems. You can run multiple zones versus a one-to-one condensing unit to air handler ratio common to most residential systems. The chilled water can share the HW piping ("2-pipe system") but the best systems are "4-pipe", allowing heating on one side, cooling on the other or a rapid change-over from a cool morning to warm afternoon. All emitters have to have condensation provisions, either drain pans, stainless steel casings are a bonus especially in humid areas (not so much in Utah). CHW should NOT be run in fin-tube. It will drip and airflow will not be significant to achieve any benenfit. Another popular emitter is radiant cooling ceilings, metal panels with CHW tubing. Key is keeping the water cool but not cold and above the space dewpoint. Very comfortable but is sensible cooling only, no latent (moisture) removal, unless you lose control!